We were inspired by the surf style frame because of it's long, stylish history and the ability to remain a timeless fashion trend. Tower introduces the Malibu, a sleek, subtle silhouette that captures the beach vibes and makes any average customer instantly appear like a fashion icon. Made out of Birch material, with polarized lenses and the ability to float, these belong in the hands of anyone looking to make a fashionable splash. On Point Fashion: Handmade Birch frames hand sanded and polished with a beautiful wax finish. Pale in color, and very fine grained, Birch grows widespread all over the Northern Hemisphere. It has distinctively white bark. It's an extremely hard wood, and is even difficult to work with using tools other than power tools. Birch is known as a tone wood as it has a natural resonance that peaks in the high and low frequencies. Historically, it has been used in speakers, drums, and guitars for these reasons. 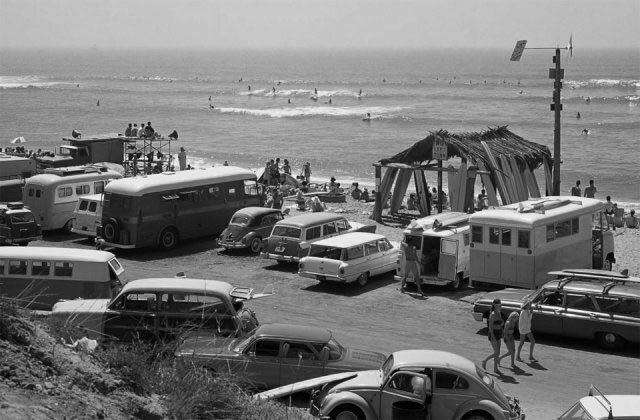 Described by surf journalist Paul Gross as, "the exact spot on earth where ancient surfing became modern surfing," Malibu was widely considered the West Coast's best surf break for Los Angeles residents in the 1960s. In the early days of American surfing, innovative surfers around Malibu started experimenting with materials and went from using heavy redwood-lined boards without any fins to using what was called the "Malibu Chip" a fiberglass covered, balsa wood board with a stabilizing fin. With separate waves suited for longboarders and shortboarders, Malibu became very popular with high-performance Californian surfers, what we think of today as the beach-blond, tanned bodied, Californian teeny boppers. Hollywood, just to the south, took notice of emerging culture and starting cranking out surf movies and surf music. The blonde wood look of our Malibu wood surf style sunglasses acknowledges how California, Hollywood, and the bleach-blonde surfer archetype, took surfing into the cultural mainstream and introduced the sport to millions around the globe. Do They Float: Yes, a dry pair will float.